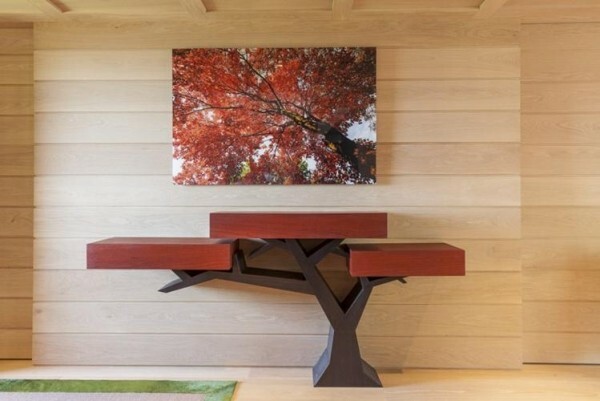 With architects and designers everywhere bringing nature and natural elements into the home, it is no wonder that furniture designers have become inspired with creating designs that feature the great outdoors, especially trees. 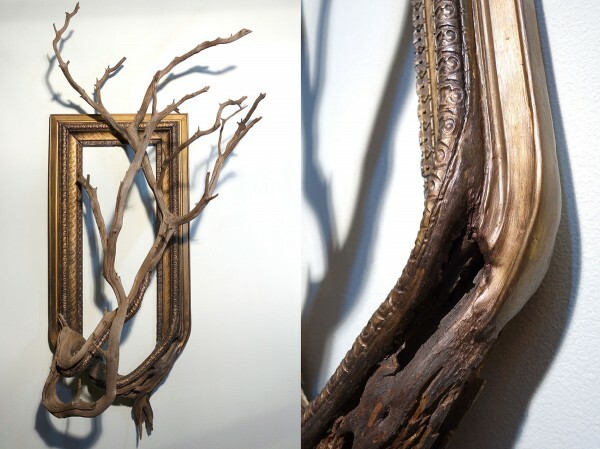 These 20 stunning tree inspired designs run from the abstract to the literal and are made from tree wood, metal, embroidery and more. 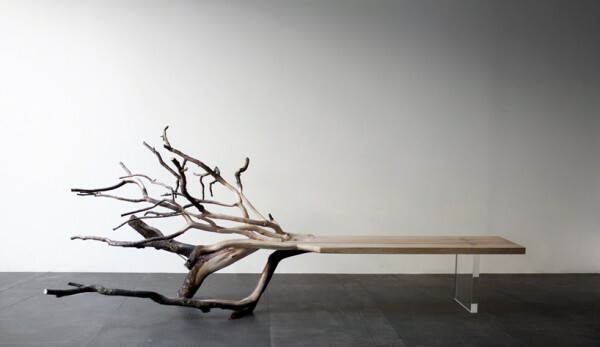 Fallen Tree by Benjamin Graindorge is one of the more literal interpretations with actual tree branches seemingly growing from its bench seat as though the seat where the tree’s trunk. 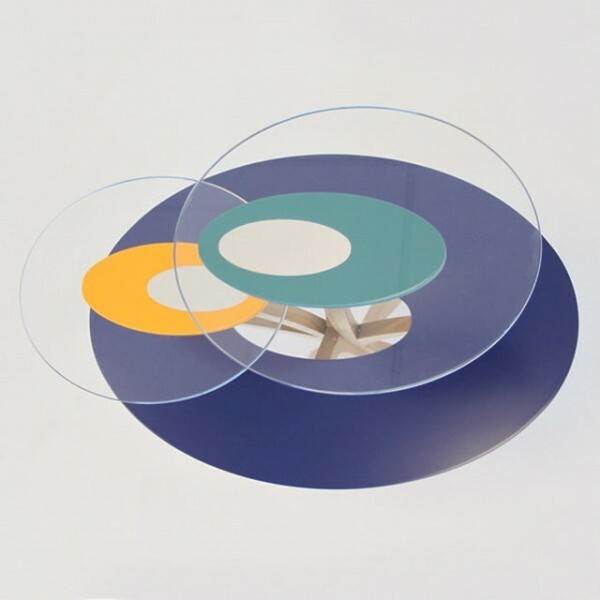 The almost transparent Lucite leg that supports the side of the bench without the branches further enhances this visual. 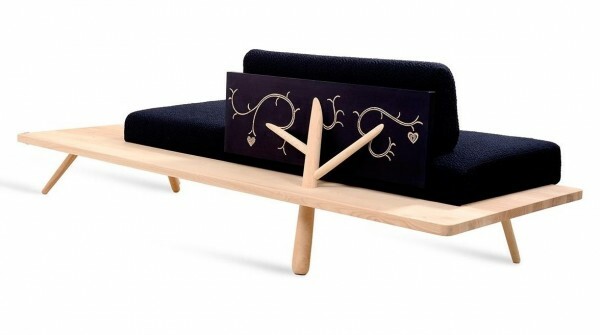 Branch (Marked) Sofa is the design of Gert Wingardh and Sara Heider. The mixed media interpretation of a tree via the wood leg support and the embroidered branches within the upholstery makes this sofa one that is best viewed from the back. Intricate as the pattern is, the minimalist aesthetic fits right in with the Zanat product lines. The whimsy of the embroidery brings a sense of life to Branch (Marked) Sofa. 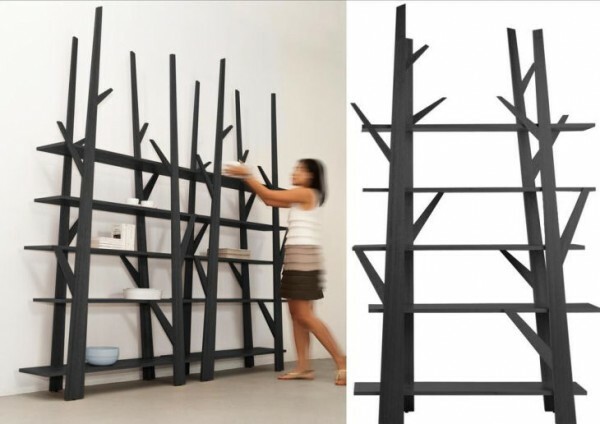 Slabs of wood with living edges have such a raw appeal and the ones used within this customizableBlack Walnut Live Edge Slab shelving unit by Design Lush are no exception. The contrast between the random lines of the living edge and the straight lines of the glass shelving are simply sublime. 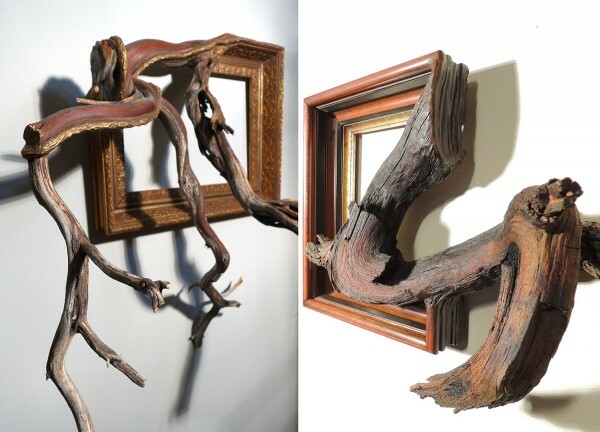 The Archie Picture Frame by Darryl Cox of Fusion Frames NW is about as artistic as you can get, what I really like about this design is that you can also use it to hang a hat or dog leash or even holiday bobbles from the riven manzanita branch while still using the bronze gilded frame to display a painting. 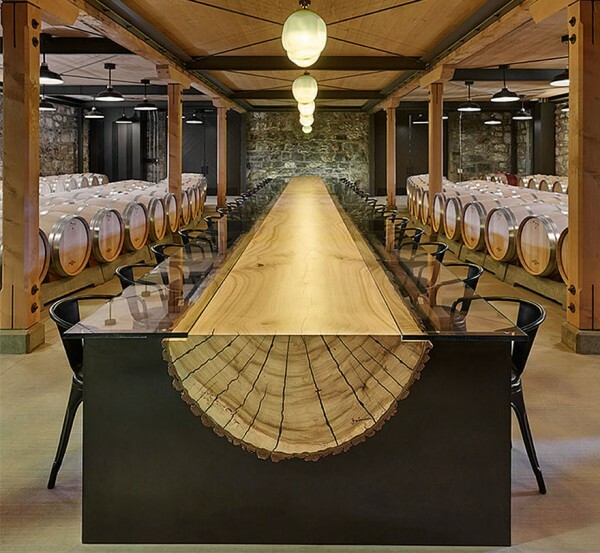 John Houshmand really knows how to make a BIG impact with his tree designs, this dramatic dining table is made from a half log, 5 steel supports and a glass top. 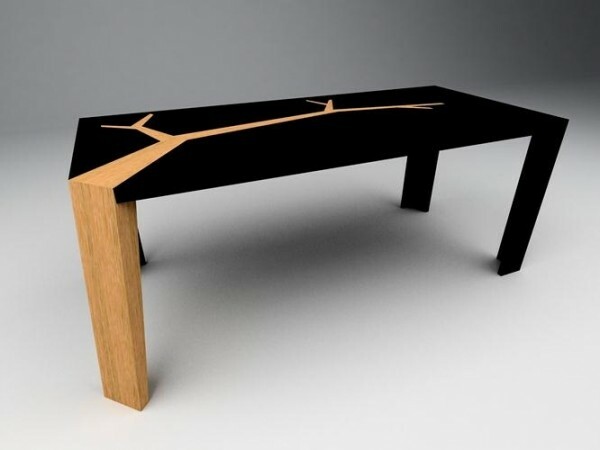 Not only does this table makes a big statement it is also rather big in size at 516″Wx64″Dx30″W. 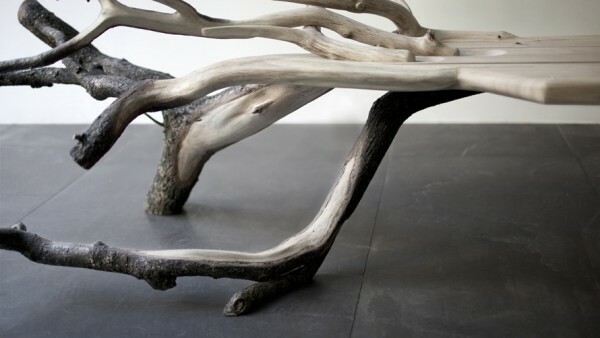 Michael Thomas Host of MTH Woodworks also uses real sections of found logs in his furniture creations. 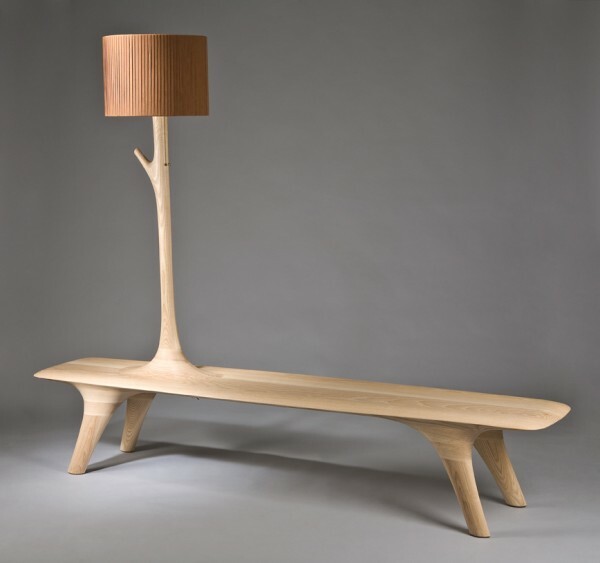 The furniture is all part of their Bloom Collection and begins with a forest walk to collect the wood that will be used. 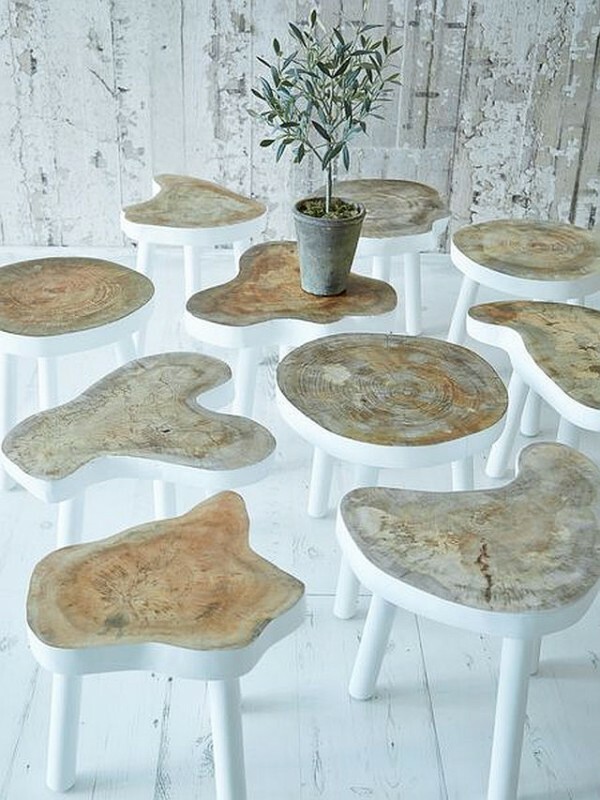 Some of the wood he finds is filled with white resin to make these unique, no two are the same, side tables. 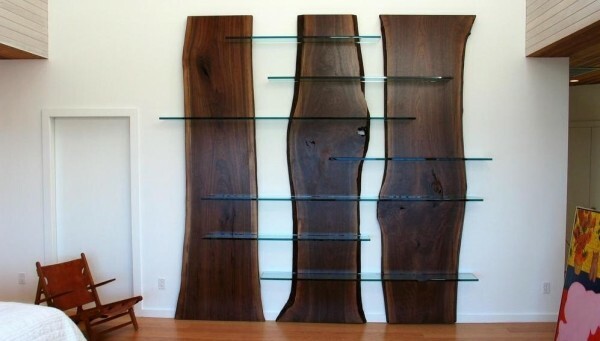 Sometimes Michael Thomas Host uses the log sections as bases that slice through resin tabletops. 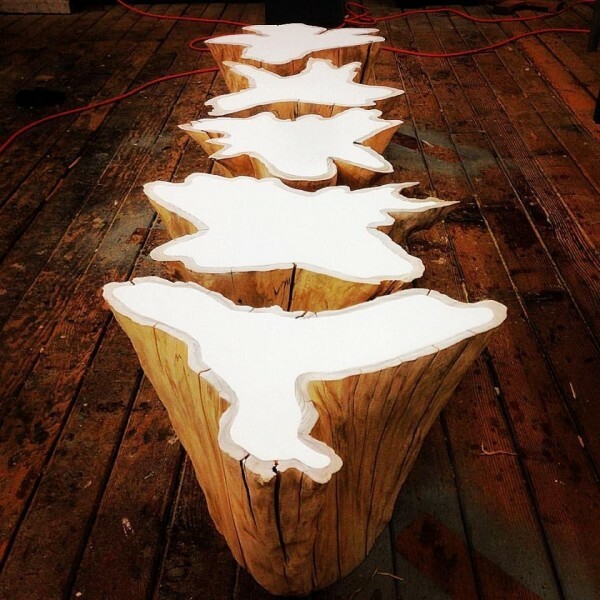 See similar and more of his artsy tables. 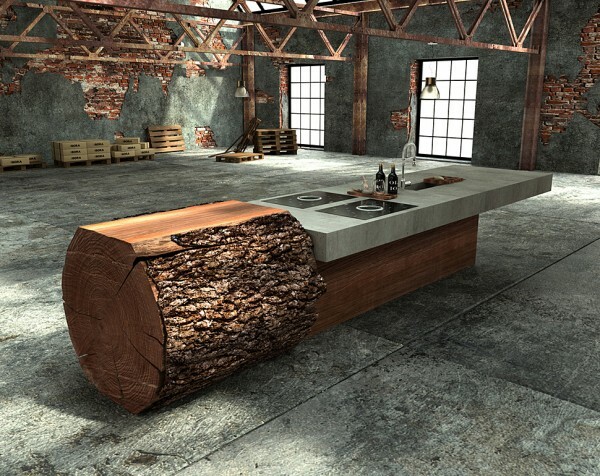 Nordic House also uses slabs of trees in their Tree Table series with the tree’s rings featured in the tabletop. 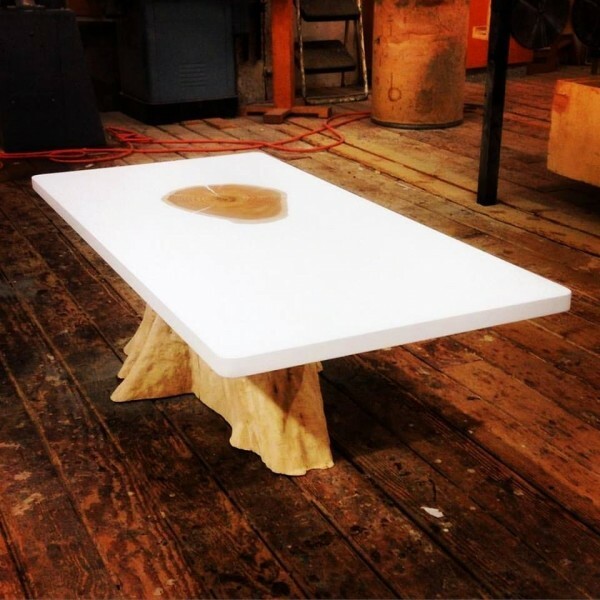 These designs showcase standard table legs painted white to go with the sides of the tree slabs that are also painted white. 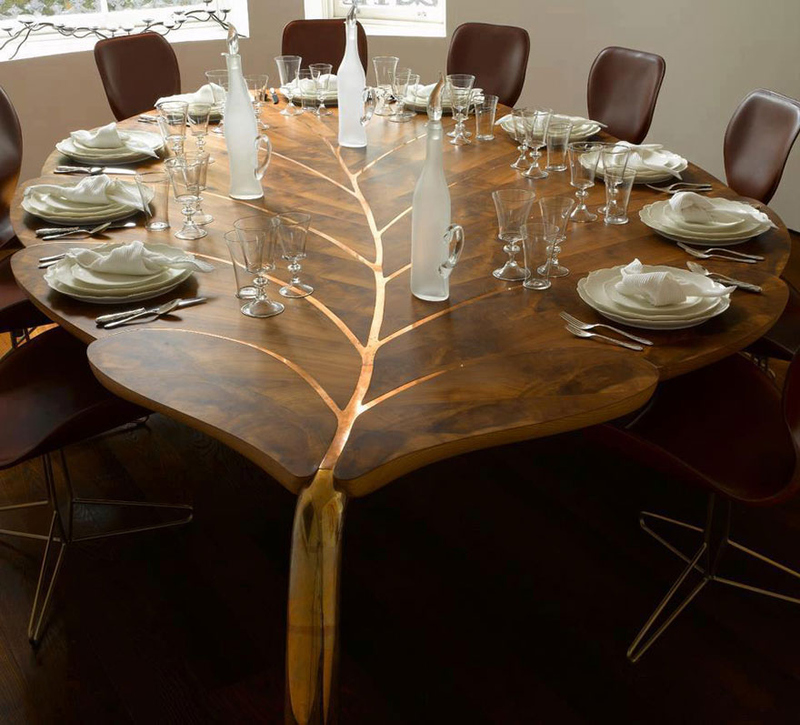 With a less literal interpretation of trees, the Dining Table Angkor by Oliveir Dolle uses one of its legs as the tree trunk and continues the graphic across the tabletop. 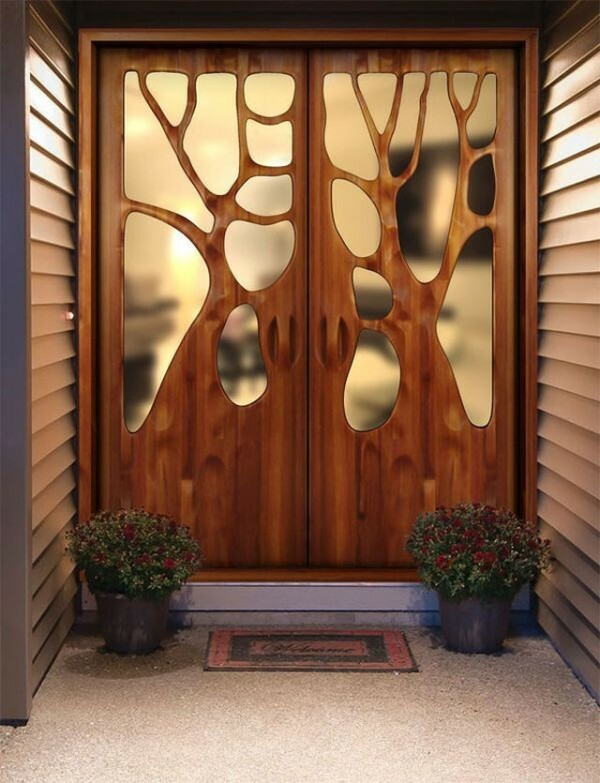 Believe it or not this contemporary graphic was inspired by 12th century temples at Angkor Wat in Cambodia. 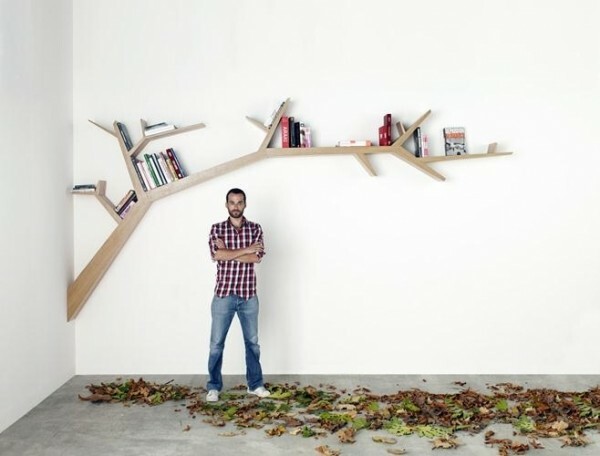 The Bookshelf Tree Branch can be customized to any size with as many or as few branches as required. 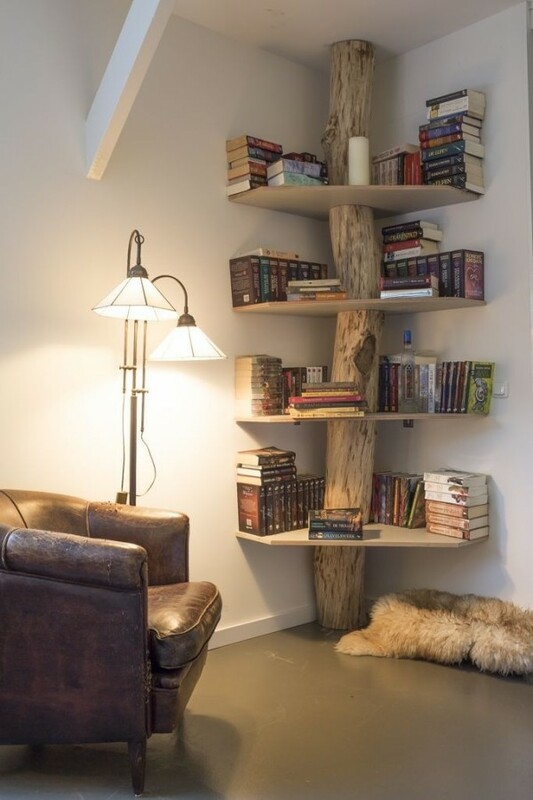 BTW, we’ve picked the best tree like bookshelves – check it out! 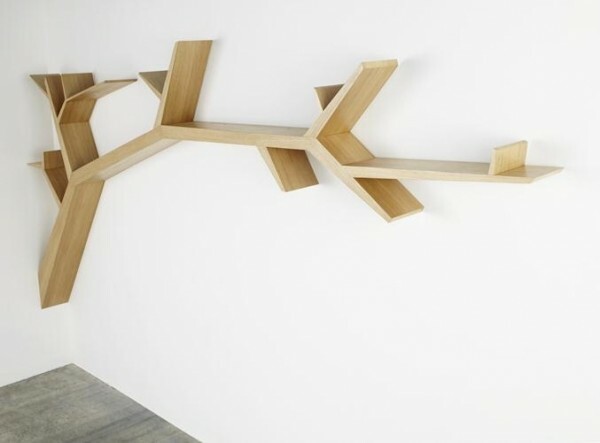 Oliveir also designs stock items, limited editions and custom pieces such as this tri-level console table. 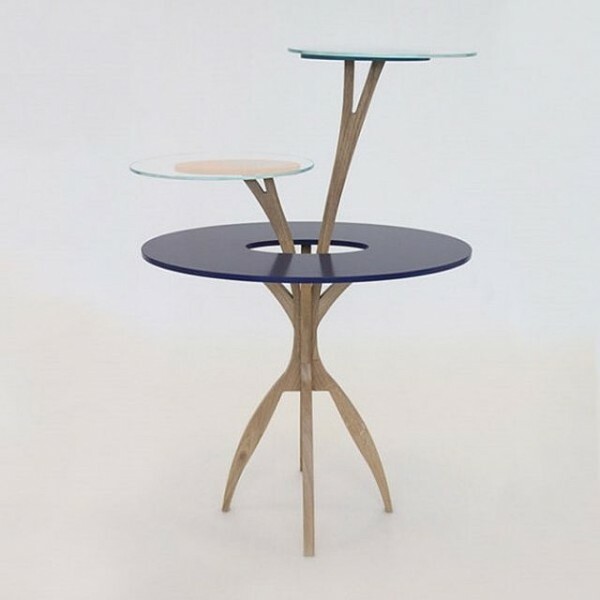 Enrico Mangialardo designed the Climber as a tri-level side table with the graphically colored table surfaces as the green canopy. The name climber references climbing vegetation but I see a tree canopy when I look at it. 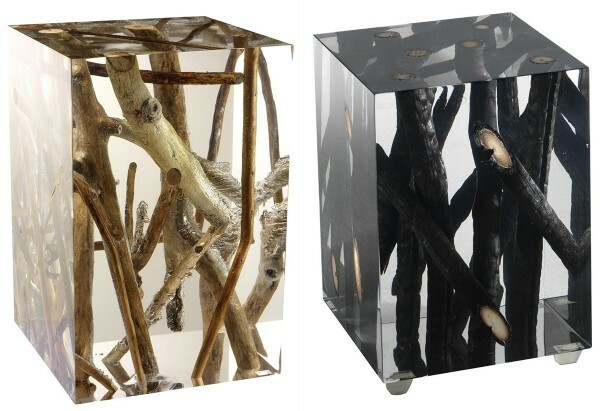 The Grow Up series was based on the concept that wood designs are logs and each log has a small sapling sprouting from its wood to become an additional functional attribute, cool. 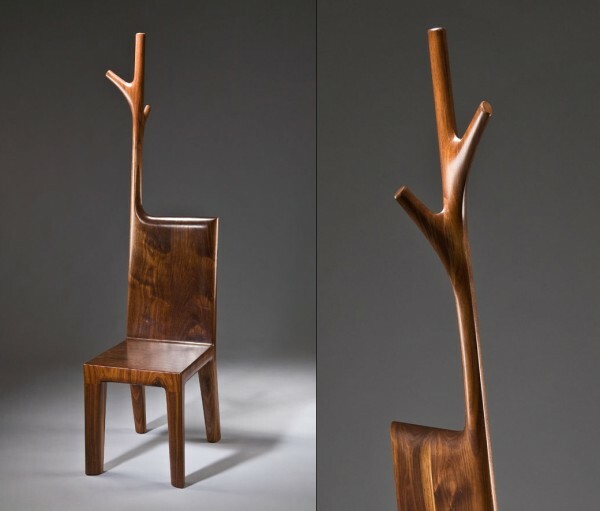 A chair that seems to be growing a tree is the design of Kwon Jae Min and is part of his Grow Up series. What is superb about this design is that the coat rack section is not separate from the chair back at all, but comes out of the same slab of wood, just check out how the wood grain continues through both.